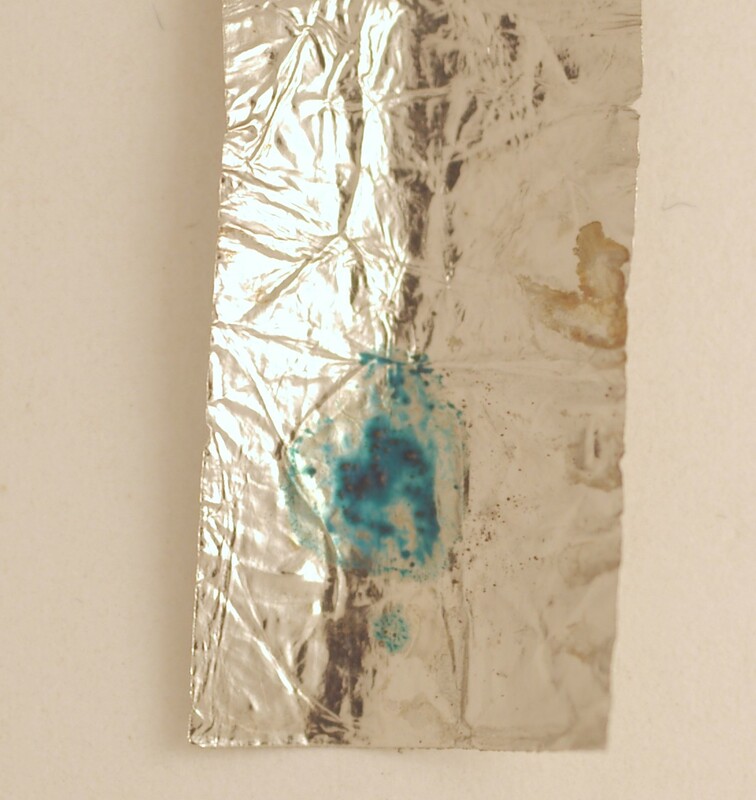 This is an example of the color that results when a manganese containing material is fused with sodium carbonate. The fusion can be performed on a platinum foil, as in this case, or on a platinum wire. A rapid test for manganese is to fuse a little of the material with sodium carbonate on a platinum wire or foil, as in this case. Benedetti-Pichler, A. A., IDENTIFICATION OF MATERIALS VIA PHYSICAL PROPERTIES, CHEMICAL TESTS, AND MICROSCOPY, Springer-Verlag, pp. 314, 338-339, 1965.